English 9 or English 9D is required for all ninth grade students and is part of the ninth grade core curriculum. The English 9D course covers all aspects of English, including reading, writing, grammar, and vocabulary. The reading portion will involve familiarizing students with classic and contemporary literature. The writing portion will focus on the writing process, sentences and paragraphs, and organizing an essay. Grammar will build upon prior knowledge and how to use the rules of grammar in their own writing. Vocabulary will incorporate knowing and using literary terms throughout the year to insure stored in long­term memory, as well as how to use prefixes, suffixes, and root words to find the meaning of words. 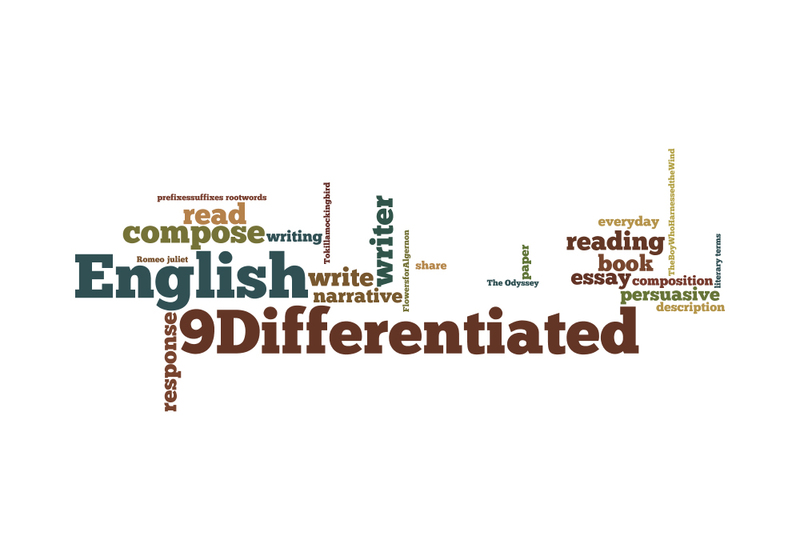 English 9D is a slightly more advanced version of English 9 designed to challenge those students who show an aptitude for reading and writing at an above average level.